Three useful motivational techniques for running are creating small goals, changing up the training program & having fun! See more below. 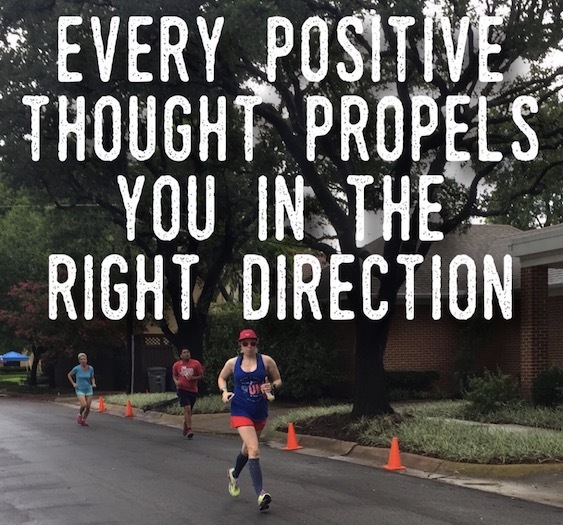 In order to stay motivated toward reaching your main running goal (like running a marathon) it helps to stay on the right track by setting up mini goals. These might be virtual races, short races, sign up for a destination race or meet a new weekly mileage achievement. Changing up your training program can keep the routine fresh and interesting. Instead of doing the same workout every week try switching them out for different activities. On a cross training day shoot hoops or run laps in a pool. On a speed workout day forgo the track in exchange for hill repeats. Sometimes in the midst of a training program it is easy to forget the fun. Adding in fun breaks up the monotony! Fun can be a variety of things. Maybe it is a new pair of running shoes. Take two of your treadmill runs outside. Find a new running partner or group to easily pass the miles. Find a new running playlist and make an interval workout to it, fast songs to pick up the pace and slow ones for recovery. Like most processes in life it helps to find motivation to keep from getting mental staleness. By using a little creativity you can keep focused to achieve your goals!